Students may arrive at any point over the weekend before the French course starts. We can meet you at the train station and help you settle into your accommodation. On Sunday evening we get together for an informal apéro. This is a great opportunity for the students and teachers to get to know each other and to break the ice before lessons start in earnest on Monday morning. Classroom time centres on the four main skills of language - reading, writing, listening and speaking - with particular emphasis on communication. 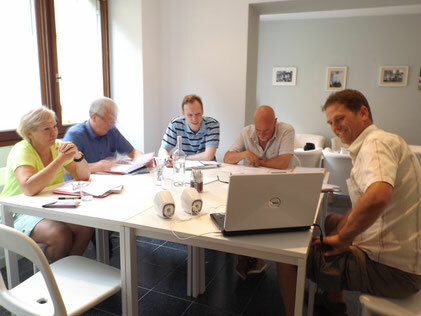 For half the session, working as much as possible in French, we cover specific topics, dealing with grammar if necessary, but mainly developing structure and vocabulary to ensure that you build a good foundation in the French language. For example, a typical session might take a more in-depth look at conversation openings, question formation and how to find out information. These skills will transfer directly into practical use later in the day and help you develop the tools you need to initiate conversation. Halfway through the morning we stop for a coffee break - and fresh croissants! The other half of the morning's session develops your French communication: a workshop specifically focused on listening and speaking, with conversation and role-play situations. Working as a group, in pairs and one-on-one with the tutor, there will be help with pronunciation to build your confidence and accuracy in real-life conversations. Accompanied by at least one tutor, lunchtime is a perfect opportunity for you to sample the region's gastronomic delights. 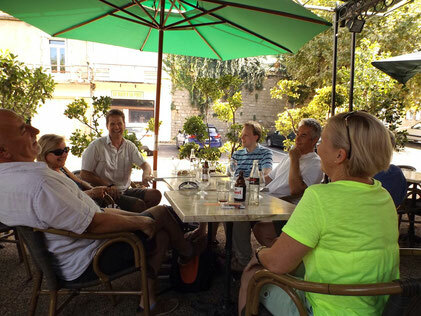 The local custom is that everything stops for two hours at lunch, so you can relax and use this time to find out more about life in France, decipher the menu or practise your French conversation skills. Either way, the emphasis will be on enjoying the convivial atmosphere of a meal in one of our friendly local restaurants. 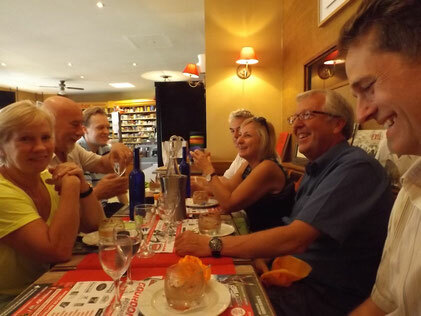 The afternoons are taken up with activities and outings which we believe will be the real key to developing your confidence in speaking French. We put together an itinerary that will introduce you to the rich variety of the region's sites, geared to giving you opportunities to hear the French language spoken in real situations, with plenty of chances to interact in French with French people! 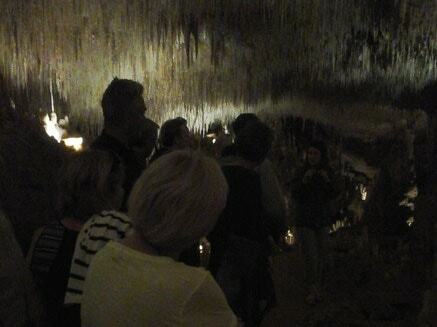 Practice your French in some of the best sites in the Lot and Dordogne! Wednesday afternoon is free time, though students can follow one of a number of suggested itineraries and/or worksheets. It is possible to arrange additional tuition during this time if you have specific needs. 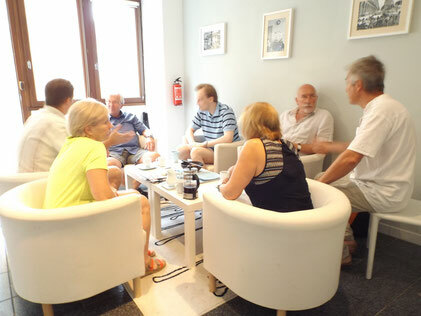 Evenings are also free time, and a great opportunity to converse with your hosts, or to explore the town's bars and restaurants, or even catch a film - Gourdon is fortunate enough to have a two-screen cinema with air-conditioning and very comfy seats! There is a varied and excellent programme consisting largely of French films with a few Hollywood blockbusters (dubbed into French), but there are sometimes films in English or other foreign languages with French subtitles. There is a farewell drink on Friday evening, with an informal review of the week's work. If you are leaving Gourdon on the Saturday after the course, we are available to help you get to the train station. Our Top-up French Course is a super-intensive course offering one-on-one tuition. Comprising five 3-hour blocks of classroom time over one week, the Top-up French Course is perfect for those students wishing an extra week of study after their group course.